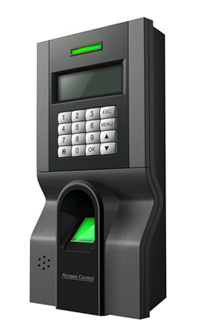 F8 is a widely used Access Control in the office. Choosing a lot of stable original parts, strictly follow the national security product standard .F8 is suitable for the entrances and exits of office, factory, hotel, school, etc. All input /output are using anti-jamming protection and over-voltage/circuit protection. The product experiences the strict degradation test before leaving factory. The greatest advantage of F8 is easy to install, with multifunctional & elegant design and reasonable price. Optional: Webserver, Workcode, RIS,Multi-identification, 9 Digits User ID, Schedule Status, T&A Records.